"United States Census, 1910," database with images, FamilySearch (https://familysearch.org/ark:/61903/1:1:MG9N-XWK : 29 October 2015), Bessie N Gard in household of Erasmus M Gard, Platte, Taylor, Iowa, United States; citing enumeration district (ED) ED 140, sheet 19A, NARA microfilm publication T624 (Washington, D.C.: National Archives and Records Administration, n.d.); FHL microfilm 1,374,438. "United States Census, 1920," database with images, FamilySearch (https://familysearch.org/pal:/MM9.3.1/TH-1942-22900-4246-65?cc=1488411 : 14 December 2015), Iowa > Ringgold > Lincoln > ED 126 > image 4 of 12; citing NARA microfilm publication T625 (Washington, D.C.: National Archives and Records Administration, n.d.). "Massachusetts Births and Christenings, 1639-1915," database, FamilySearch (https://familysearch.org/ark:/61903/1:1:VQ62-2R9 : accessed 17 October 2015), Abigaile Gardner, ; citing , ; FHL microfilm 0928294 IT 3. Vital Records of Ipswich Massachusetts to the end of the year 1849, Salem, Mass. : The Essex Institute, (1910) , Vol. 2, p. 714. Almira Larkin White, Ancestry of John Barber White and his descendants, , at http://books.google.com/books?id=hY9bAAAAMAAJ . Haverhill, Mass. : Press of C.H. Webster, (1913) , p. 81. Find A Grave Memorial# 21426970. 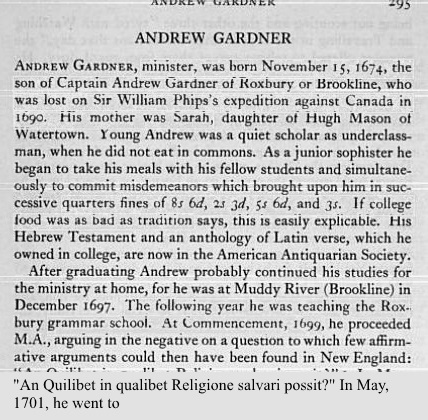 "Massachusetts Births and Christenings, 1639-1915," database, FamilySearch (https://familysearch.org/ark:/61903/1:1:VQ6L-JBP : accessed 17 October 2015), Caleb Gardiner, ; citing , ; FHL microfilm 0928294 IT 3. 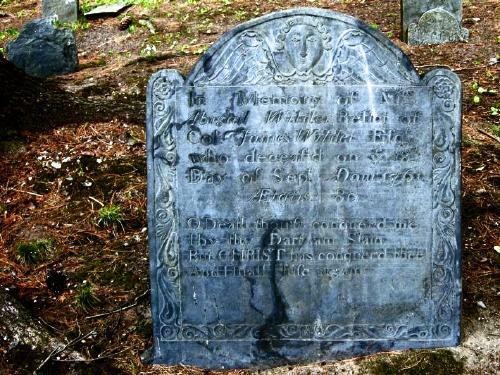 "Massachusetts, Town Clerk, Vital and Town Records, 1626-2001," database with images, FamilySearch (https://familysearch.org/ark:/61903/1:1:F4LG-692 : 13 July 2016), Caleb Gardner, 23 Apr 1682; citing Birth, Roxbury, Suffolk, Massachusetts, United States, , town clerk offices, Massachusetts; FHL microfilm 741,320. "Massachusetts Deaths, 1841-1915," database with images, FamilySearch (https://familysearch.org/ark:/61903/1:1:NWTS-TVY : 10 December 2014), Charles Albert Gardner, 14 Nov 1907; citing Wakefield,,Massachusetts, 128, State Archives, Boston; FHL microfilm 2,217,354. Dorcas Gardner was born perhaps about 1692.